I think he has at times - and was known as a gritty leader both off the field and on the field at Northwestern. In comparison to Quinn from a college standpoint, Quinn had alot of talent around him and Kafka had to make the best of the talent around him. I am not saying he is a world-beater or a future franchise quarterback, but considering what we are paying Quinn for 1 year along with what Quinn brings to the table, I am not sure I see Kafka as a downgrade. Edit : IMO, the only thing Quinn has going for him is that he has an offseason to work in our offensive system and Kafka doesn't have that luxury. I'd be interested in Chris Carr over Reeves! Even after he had a slightly better game vs GB than previously shown against Seattle. Considering the salary cap thread though.. it really makes me ill that OUR Carr is not still here I'm looking forward to watching him tonight. A86, oh you are right about Chris Carr over Jacques Reeves. Pioli had to dig past the old banana peels and dirty diapers in the dumpster to get to Reeves. In comparison to Jacques Reeves, Chris Carr is the chocolate eclair with no bite marks and still in the donut box that is sitting on top of the garbage pile. A striking resemblance to our own donut trash diver! I work with Sash's brother, haven't seen him to ask. I'm guessing it has more to do with his suspension than anything else. A86, excellent! I was hoping you would get the connection! Superb! 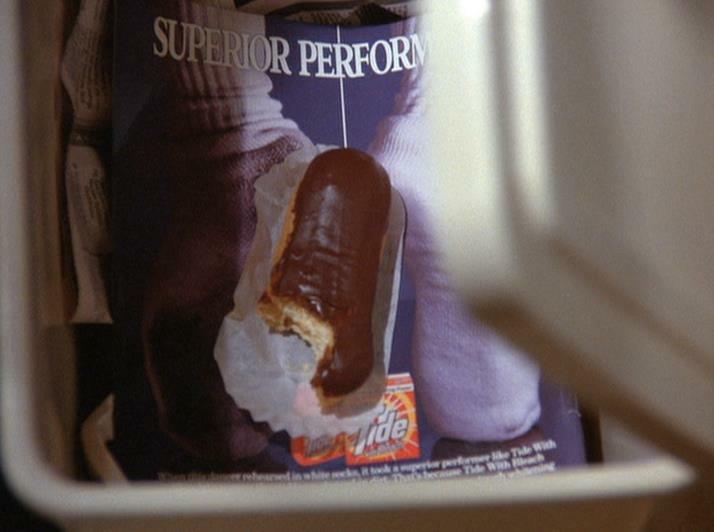 I was going to image that exact pic of the eclair and include one of Costanza but couldn't open the pic files at work! Glad you covered for me! Back on the cuts topic... according to an AP Story the Chiefs did work out Carr but did not sign him. I am left to wonder for now if they didnt like him or are they waiting till after week 1. The problem is.. if they wait till after week 1 I might be a bit upset because I think if they do deem him an upgrade - get him now as week 1 is looking pretty rough. Not sure if you all have heard but Belcher is not practicing today due to a groin issue. The defense is battered, and being cheap with an upgrade seems like a weak choice considering that fact. Guess we'll know for sure after week 1 but.. I'm just sayin. Guess who just signed Dominique Franks ..
My biggest issue with the idea of waiting is that you lose the opportunity to get the player in for atleast a couple of practices before the bullets fly. 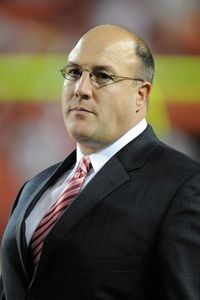 That's why I am wondering what Pioli is planning on doing with all of the runningbacks and tight ends we have on our 53 and not to mention our meager depth along the offensive line and secondary at this point. But then again, we have a 27 year old guard and a fullback on our practice squad so we should be set. "Damn the torpedoes boys, we have Eachus, Quinn, Reeves, and O'Connell!" Seattle – signed OLB Gabe Miller to the practice squad as a tight end. Hmm, obviously Jake O'Connell survived another challenge! Dan Koppen was signed by the Denver Broncos. I am surprised (and disappointed) that we didn't atleast bring him in for a visit considering the relative inexperience of our current starter. Koppen would have been a nice veteran presence behind Hudson and could have potentially played guard for us if injuries made it necessary. As it stands now our only depth on the active roster is Jeff Allen and Donald Stephenson. I guess the team feels Lilja could slide to center if Hudson goes down, but if Lilja deserves to start at left guard then I would prefer he stays there as opposed to affecting two positions. Mike Klis of the Denver Post reports that the Broncos have agreed to terms on a contract with Koppen, who was cut by the Patriots when rosters were cut down to 53 players. Meh, since we didn't sign Koppen he's obviously washed up.